The Ministry of Defense (MoD) developed and distributed an official guide to the best strip clubs in Tallinn, Estonia, it has emerged. They claim it was intended to prevent Britain’s bravest from meeting a sticky end. 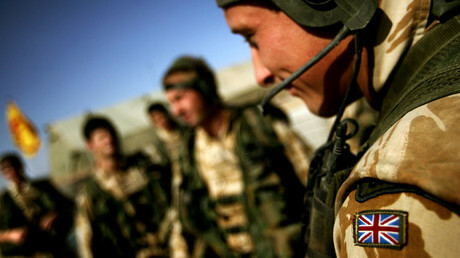 A Freedom of Information (FoI) request by the BBC reveals the ‘Tallinn guide for friendly forces’ was issued to troops working on ‘Exercise Steadfast Javelin’ in May 2015, with the aim of keeping them safe. The booklet, which was one of several handed out, listed three Tallinn strip joints and even advised troops on which venue had the most arresting maidens. The guide also told carousing troops what to expect while in the establishments. The service personnel were also advised to use cash rather than other forms of payment. The department did not disclose how the leaflet was distributed, who wrote it or whether it would be used in the future. With soldiers’ wives and girlfriends in mind, the guide also recommends a local lingerie shop in which to pick up a gift. “As you would expect, we routinely provide guidance to our people about staying safe while on deployment,” an MoD spokesperson told the BBC. “According to the information received from the Estonian Defense Forces this is not an official document produced by or for the Government of Estonia,” the Estonian Embassy told the BBC. Recent scandals indicate British soldiers are earning a better reputation for their rowdy conduct than for their fighting prowess. Last year, it emerged that trainee officers set fire to an accommodation block during a canoe-borne flare duel. A senior officer in the Queen’s Guard was also recently filmed snorting a substance off a ceremonial sword.